Welcome to yet another addition of my Year-ending Album extravaganza, just in time for you to switch from complaining about how terrible 2014 was into how awful you know 2015 will end up! Let’s take a moment to recognize the Hall-of-fame, our past extravaganza winners. 2009 – The Decemberist’s Hazards of Love. 2010 – Arcade Fire’s The Suburbs. 2011 – The Felice Brother’s Celebration Florida. 2012 – Dr. Dog’s “Be The Void”/Father John Misty’s “Fear Fun”, 2013 – The National’s “Trouble Will Find Me”. I looked over my list prior to writing this and realized that 2013 > 2014 overall. My #1 this year would probably be #4 last year, but there’s still plenty of good discoveries out there. Want to discuss it, you can find me on the website known as twitter. Unfortunately I was diagnosed with the flu earlier this week. Why do you care? You most likely don’t however this post was almost ready to go but is at my office. Hence I’ve had to recreate everything and leaving out the sentence blurb about each album. Basically, my main genre is indie rock, folk singer-songwriters, some electronica that isn’t too weird, garage rock and older sounding country music. With each passing year I’m getting into more female indie artists as well. I’ll write some thoughts about the final list at the end. Here are my top 42 albums of 2014. Remember, 42 is the answer to life, the universe and everything. 31. Justin Townes Earle - ’Single Mothers"
Congratulations to St. Vincent for making the best album of the year. I’ve always been a fan but this record changed my perception of Ms. Clark. I’ve listened to it all year. I’ve always been an unabashed Conor Oberst fan-boy, but his last few albums have lacked something starting with his second solo release. This effort is a perfect mix of a style he feels comfortable combined with his patented lyrics. Much like The Hazean himself, I was blown away by The Men this year. Jack White and Beck round out the top 5, with Jack White improving upon his first solo album and Beck making me a fan again. The rest is an eclectic (if you disregard no rap, metal or pop music) blend of other genres. Thanks for reading. As a Spotify loyalist, I was trying to avoid listening to you this year. Flattery might get you somewhere. Love’s a game, wanna play? Sorry Spotify, I tried to quit Taylor Swift for you. I lasted about a month. 6. A Great Big World – Is There Anybody Out There? First four weeks in the NFL are in the books and the BACKDOOR COVER is 13-7 on the year thus far. Big week with 7 games on the slate for us. I don’t go hard in the paint on college football anymore, but I will let you know I have dropped U.S. currency (the kind that folds, not the kind that jingles) on the Alabama Crimson Tide this weekend. If you like folding money as well, I suggest you get in on that sweet, sweet action. This is the point in the year where we have to decide if wacky results are a week aberration, or a trend that we don’t want to be late recognizing. Don’t forget to get on social media to dish out EBOLA jokes while the gettins good! Good luck this week amigos. GREEN BAY -8 vs. Vikings – As a Mississippi State fan, I can relate to a group that takes pride in the quality of their cheese. I couldn’t live up there but glad cheddar makes you happy too. As far as the game, I’ll take the home team on a short week against a forecast of murky Bridgewater, with a chance of Ponder. NEW YORK JETS +6.5 vs. Chargers – This isn’t really about the Jets as much as it is fading the Chargers. They aren’t as good as they’ve seemed and I do not trust them to win by a touchdown. I seem to remember that Rivers isn’t great against Rex Ryan defenses but that could just be a dream I had, who knows. DENVER -7 vs. Cardinals – America’s team has yet to have a win that is easy from start to finish. I think the offense gets out and the defensive pass rush gets to unleash hell on whoever is taking snaps for Arizona this week. Now’s the time to insert Wes Welker into your lineups gang. SAINT LOUIS +7 vs. Eagles – Team that runs the ball off a bye week facing team that played on the west coast and lost a heartbreaker. Seems simple but yet it’s still more complex than the plot of Jurassic Park 3. TENNESSEE -1.5 vs. Browns – Going to try the Titans one more time, even though they break my heart. Too bad George Strait retired, because that line is country gold. I love George but wish he played Heartland in concert. It’s not like he’s lacking for #1 hits though. JACKSONVILLE +6 vs. Steelers – How bad does everyone think the Jaguars are? /looks at JAX box scores. Never mind, they’ve been awful. But it’s not like the Steelers deserve to be laying this on the road. Banking on the Bortles effect. CINCINNATI -1 vs. Patriots – One game with the Patriots and I could call it a fluke. Two games are alarming. Three games is a sign that they team needs to be Ole Yeller’d. I’m going to put money on the better team to beat the worse team and see how that works out for me. Have I mentioned yet that I went 6-1 ATS in this very column last week? That would be shallow and a pointless ego exercise, so I’m going to not even mention that I picked 6 games right to only 1 game wrong seven days ago. While capping games this week it occurred to me that I was honing in on mostly underdogs. Sure dogs have raced out to a 19-12-1 ATS mark this season, but even I know that will even out eventually. My goal this week is to find the ones that offer value, but are also not named Raiders or Oakland. I believe I have succeeded. If you were wondering – UNDERS are beating OVERS at an 18 – 14 clip. That seems about the right pace. If you can’t choose a side and want action, take the UNDER. It’s always a little better than 50% and you get to root for things like: punts, tackling in-bounds, penalties, dumb timeouts, etc. Really just a grand time for the whole family. Any questions about these games or games I’m not taking, I always have an opinion on sports or Jennifer Anniston on the twitter @bryan_CTP and unlike those celebrities you keep stalking, I’ll answer. TAMPA BAY +6.5 vs. Falcons –Because why not. My Atlanta Braves have completely nosedived to end the season so I don’t feel like I can trust any team in Georgia at the moment. Think this might be a shootout as well. WASHINGTON +6.5 vs. Eagles – Too many points. And I’m good at spotting too many points. All I had to do was look at this line to see that it was too many points for a football game that should be close. Book it. NEW ORLEANS -10 vs. Vikings – Not sure why I can’t quit the Saints. Bet against him past two games but ready for them to get on the cover train now. FYI: that train does NOT stop in Metairie. NEW YORK GIANTS +2.5 vs.Texans – OH NO, HERE COMES RYAN FITZPATRICK!! BETTER LAY THE POINTS ON THE ROAD!! HE’S SURE TO COVER THREE STRAIGHT WEEKS!! These statements are outrageous yet part of normal society it seems. Stop it. TENNESSEE +7 vs.Bengals –You know how when you are channel flipping and BOOM! There’s the Hannah Montana movie. Of course you have to watch but in the back of my mind I wonder – Does Miley watch this movie ever? Does she even remember who she used to be? I hope so because that’s the whole point of her visiting Tennessee in the film. PITTSBURGH +3.5 vs.Panthers – Nothing draws me in to a SNF game like getting the hook. This game has field goal spray-painted across its forehead. While their defense is atrocious, the Steelers don’t deserve to be buried just yet. There are already enough words on the internet. One of my favorite movies (PURE COUNTRY!!!) has a scene with a grandpa explaining why no one in his family talked during breakfast. Basically everyone knows everything and nothing is gained from people yapping their gums all the time. No reason to state the obvious. This week we could talk about over-reaction vegas lines and or teams getting value. But I don’t have the time and you don’t care more than likely. You are here for picks and I have them hot’n’fresh from the oven below. Sure you could follow other people’s picks who have a lot more notoriety, but why? If I lose you money you can yell at me on twitter @bryan_CTP and we can work through why I’m an idiot together. Good luck this week amigos..
PITTSBURGH/BALTIMORE UNDER 45 –I hope the Steelers win 44-0, the Ravens franchise disintegrates, front office fired and everyone in the stands wearing a Ray Rice jersey catches the stomach flu simultaneously after discovering sugar was poured into their gas tanks. CLEVELAND +7 vs. Saints – Stop me if you’ve heard this one before. Man walks into bar. Sits down and bets against New Orleans on the road. Wins money. Leaves with hottest girl there. The End. NEW ENGLAND -3 vs. Vikings – In what should be a trap game ends up being exactly what you thought. New England isn’t starting 2-0 and has been straight cash after a loss then going on the road throughout the years. Don’t go re-inventing the poptart. NEW YORK JETS +9.5 vs. Packers – Lot of fancy trends at work here say take the Jets and I love fancy. Reminds me of when I used to wear braided leather belts in jr. high. Until the Packers show they can stop the run I can’t trust them at a high number. CHICAGO +7 vs.49ers – Don’t have reason behind this pick, but it will cover. Remember – you lose 100% of the bets you don’t make involving Jay Cutler. OAKLAND +3 vs.Texans – I’m not ready to live in a world where the Texans are favored on the road just yet. They beat a bad team at home last week. I’m going with they can’t beat a bad team away from home this week. Or can’t beat two bad teams in a row. Whatever you want. PHILADELPHIA +3 vs. Colts – I don’t think the Colts are very good. Can’t run, defense is suspect doesn’t equal the lofty post-season expectations I’ve seen from them. Think the Eagles are a better team with a smarter coach. Ray Rice was cut by the Ravens yesterday (you already know the story, so I won’t go into here in a fantasy football column), which was something we alluded to here several months ago. Rice already was suspended the first two weeks of the season. In his absence, Bernard Pierce was expected to fill Rice’s role in the Ravens’ offense. But after an early fumble, Pierce was benched and that paved the way for an old but familiar name. Rice’s departure coupled with Pierce’s shaky start certainly does not clarify the situation in Baltimore. Forsett, 29-years-old, is not the future of the running game in Baltimore. But he will be used now that he’s proven to be effective in the Ravens’ offense. Pierce may still be the heir apparent, but there is another young runner on the roster whom fantasy owners should add to their radar: Rookie Lorenzo Taliaferro, who got a lot of run in the preseason. I wouldn’t add Taliaferro in shallow leagues (10 teams, 12 teams with small benches). But I would add him in deeper formats as well as long-term formats. Worth a stash. Plenty of other names making waves this week, which figures to be a busy one of the waiver wire. Because just watching football is not enough is it. Hardly anyone wants to be just a fan of their teams and keep up for the whole season anymore. So we devised a way to care about players instead of team by using their stats as points and playing with friends. But then that got boring as well. So now we have weekly fantasy leagues that you can compete in. You know what’s never going to get boring? Making fat stacks on top of fat stacks of theoretical internet dollars. Nothing gets you a prime VIP seat in the club and the ladies headed your way like proclaiming that your betting account is fully loaded with make-believe cash. You know it. The key to making money is cashing out and having a plan to cash out. Sounds simple but the majority of people who bet put money in and don’t ever really think about stopping until their account is gone. It’s not real money at that point. If you want an action account that you know you’ll eventually lose enough that it’s empty, that’s fine but understand it’s what you are doing. The only way to win is money management. But hey, that’s not as much fun is it. This is the fourth (I think) year of this column. I might not win every week but I win every year. Refresher – pick teams to win against the current oddsmakers lines, usually have between 5-10 a week. Win money. Be Happy. Definitely adds the element to watching games that is currently lacking no matter how many fantasy leagues you enter or how much you want your team to win it all. SEATTLE -6 vs. Packers – People first look at this spread and think “oh man, with all that offense ain’t no way the cheeseheads can’t keep it close” while getting excited about the almost touchdown spread. Seattle is a weird place where they think mason jars are a new thing, so I’m not going against them at home until they prove me otherwise. ATLANTA +3 vs. Saints – but tha black and gold have Drew Brees! Look, there are a few certainties in life. I don’t care about news that isn’t on twitter, people who prefer smooth peanut butter profile as serial killers and the Saints on the road don’t deserve my greenbacks. ST. LOUIS -4 vs. Vikings – No idea who that guy is starting QB for the Rams, but I fully expect that defense to make up for any offense ineptitude. Unlike Seattle, the Rams have the opposite of a home field advantage so I’m not counting on any help in that department. JACKSONVILLE +10.5 vs. Eagles – Getting double digits? Check. Have a running game? Check. (please God let Toby Gerhart have a great fantasy season, thx) Have a good defense? Check. A team the average fan assumes is a dumpster fire? Check. Everything I look for in a big underdog. CHICAGO -7 vs. Bills – Speaking of dumpster fires, I think the Bills are overrated. Even for a team that is supposed to be average. I’ve eaten hot dogs for lunch the past two days which means not only am I poors, but I feel like I can relate to the normal Chicago resident’s daily life of processed mystery meats and overwhelming depression. TENNESSEE +4 vs. Chiefs – You absolutely cannot give Jake Locker more than three points on the road. Absolute cardinal rule in odds-making, yet Vegas seems to be trolling the gamblers of America. I was told today I need to replace a toilet so I’m gonna let Shonne Greene and Co. buy me a new one. It’s that easy. ARIZONA -3 vs. Chargers – Can’t have a MNF two-game slate and not have action on something, so here is that action. RELATED: I will be starting Carson Palmer in two fantasy leagues I waited juuuuuuuuuuuust a little too long at quarterback for this year. When the experts say wait on a quarterback they don’t mean go in a coma during the draft. Supporting St. Jude is the most charitable thing I do all year, and probably the most important thing I do all year. Every single dollar we raise for St. Jude goes toward operating the hospital. Every. Single. Dollar. So we need your help. We’re doing a NFL Survival League in support of St. Jude. We did a similar fundraiser this past spring for March Madness, raising $75 for St. Jude in the process. That’s a nice start for our fund-raising efforts. Our goal is to raise $500 for St. Jude this year, and we already have raised $125 toward that goal. We’re going to do the same setup for the 2014 Survival League that we did for the March Madness league. $10 entry fee – five goes toward St. Jude, and the other five goes in the pot for the winner(s). Sign up using the info/link below and, more importantly, help by spreading the word. Share on Facebook, share on Twitter, share via email. After you pay using the the PayPal link above, you’ll get an email with login information for the league. Thanks for helping to support a great cause. Looking forward to another great football season in the process. 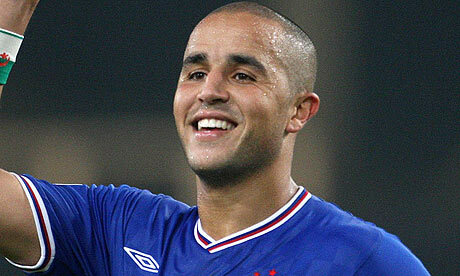 Madjid Bougherra – Algerian captain with more than twice as many international caps as anyone else on the team. Bougherra has played his club ball all across Europe and Asia, and at 31 years old, finds himself without a club for the 2014 season. Look for Bougherra to make this a statement tournament as he will have his hands full dealing with a power Belgian attack. Sofiane Feghouli – with only 20 international caps, Feghouli has made his claim to fame with Spanish club Valencia, where he has played 136 games. Feghouli is not known as a pure goal scorer, but will can create goal scoring opportunities from anywhere on the pitch. Look for Feghouli to find his way onto the stat sheet in the assist column or perhaps from a free kick or two. El Arbi Hillel Soudani – Soudani has the makings of an attacker that just likes to score goals. Having scored double-digit goals for every team he has ever played for (club and country), Soudani will look to keep adding to his goal tally. *NabilBentaleb – mark this one as a gut call or one for the future, but this 19 year old has a talent that can’t be ignored. If he is given a chance on the pitch, keep a close eye on this little large hell on wheels. Vincent Kompany – turn on England’s Barclays Premier League and Kompany will either be playing or being talked about. This mountain of a defender earns his money the hard way by knocking down and dominating any opposing attacker. The rock of the Manchester City defense, Kompany is even more deadly when part of a free kick attack. Kompany will most assuredly get his dome on any stray ball in the box and bury it in the net. Daniel Van Buyten – 80 international caps and 158 games with Germany’s Bayern Munich, Van Buyten is more than battle tested. Van Buyten will be standing tall at 6’6” and lined up right next to other Belgium tower Vincent Kompany. I don’t know of any mountain ranges running through Belgium, but if there are, they most certainly include Kompany and Van Buyten. Marouane Fellaini – Fellani has plenty of caps with his nation team, but is another Belgian who is more widely known for his club play at England’s Everton and Manchester United. Another towering figure at 6’4”, Fellaini combines that size with an impressive speed that allows him to roam all over the pitch. Look for Fellaini to move from box-to-box and get his foot on a strike or two. Thibaut Courtois – one of the best and least known goalkeepers in the world, Courtois led his Spanish club team Atletico Madrid to a La Liga title and Champion’s League finals appearance. Courtois will turn heads with impressive performances and improbable saves. Courtois looks to guide Belgium to a deep run this World Cup. *Simon Mingnolet – not only does Belgium have a top 5 goalkeeper in the world in Courtois, it actually has a second top 5 goalkeeper in Simon Mignolet. Playing for England’s Liverpool club, Mignolet had a stellar season. Eden Hazard – a young attacking midfielder, Hazard has a promising future ahead of him. One of English club Chelsea’s most dangerous attackers, Hazard will undoubtedly have a superb World Cup. Romelu Lukaku – even after losing striker Benteke an injury, Belgium doesn’t even need to blink in order to replace him. Lukaku has a healthy mix of speed and ball striking and he, too, will make his mark in Brazil. Aleksandr Kerzhakov – leading the Russian national squad with 25 goals (next highest is 8), Kerzhakov is synonymous with Russian soccer. Kerzhakov has played his last 6 years of club football in Russia, logging over 150 games and 70 goals. Kerzhakov will need to be fully prepared to carry his nation to World Cup glory as there are not too many others on the squad that can make an impact like he can. Igor Akinfeev – another top notch keeper, Akinfeev has played his entire career (280 games) for Russian club CSKA Moscow where he has won five league titles. Often courted by English clubs, Akinfeev has refused to leave his Motherland and gained the respect and admiration of his fellow countrymen and fans. Alan Dzagoev – Russia will need a solid showing from its midfield in hopes of making it out of the group stage. Dzagoev is an attacking midfielder who can help out on defense just as much as he can lead a Russian attack. Even though given limited opportunities, Dzagoev knows how to score and will not hesitate to prove it. Park Chu-Young – tied for most international caps at 64 and leading his squad with 24 goals, Park may just be the most valuable player on this Korean side. Having scored most of his career club goals from 2005to 2011, Park was picked up by English club Arsenal. Not given many opportunities to prove himself at Arsenal, Park was sent out on loan from 2012 on and has yet to achieve the level of his earlier success. Park will hope to use this tournament has the kick in the pants his career needs. Lee Keun-ho – Lee also has 64 international caps and is the 2nd leading goal scorer with 18 goals. Unlike Park, Lee has spent his career around Asian football clubs, but also possesses that ability to score. Lee will rely on his speed and key passing ability to create some golden opportunities for the Korean attack. Ji Dong-won – this 23 year old striker has already netted 8 goals in just 28 international appearances. Ji has supreme talent and the rare size (6’2”) of a Korean footballer. Ji recently signed with German force Borussia Dortmund and he will look to show the world just how deadly he can be. Bastian Schweinsteiger – about as rough and tough as the come, Schweinsteiger looks to punish any opponent that dare enter his midfield. Playing in over 100 caps for Germany and over 300 for his local club team Bayern Munich, Schweinsteiger’s over decade long career has made the world take notice of his talents. Dubbed the “midfield mastermind,” Schweinsteiger will slice and dice his way through most opposing defenses. Lukas Podolski – fellow Arsenal club member for Ozil, Lukas Podolski is another well-known and well respected German midfielder. Podolski will spend his time pushing up the left sideline and will punish other teams with his booming free kicks and surgeon like precision passing. Mario Gotze – another young, talented attacking midfielder, Gotze has made the most in his limited role with German club Bayern Munich. Always seeming to find the ball at his foot inside the box, Gotze has lighting quicks speed and finishing capabilities. Sulley Muntari – another solid Ghana midfielder, Muntari is well known in Italy for his services at both Inter Milan and AC Milan. Muntari is 2nd in goals scored (20), but is the only midfielder in double digits. Look for Muntari to puts shots on target from anywhere on the pitch. Asamoah Gyan – Ghana captain and leading goal scorer, Gyan will be heavily relied upon to by the Black Stars if they hope to escape the so called “group of death.” Scoreless draws are unlikely to help this team advance against the likes of Germany and Portugal, so look for Gyan to appear in the stat sheet more than once. Kwadwo Asamoah – Asamoah is a natural playmaker and will most likely be lined up on the outside of the midfield for Ghana. Look for him to sneak up a sideline and deliver cross after cross to Gyan. Cristiano Ronaldo – another player who needs no introduction. The 2nd best player in the world, Ronaldo is an electrifying footballer. Ronaldo bests Messi in Spanish league goal-to-game ratio (a staggering 1.07), but falls in behind Messi in overall at a still impressive 0.73. Ronaldo has been unable to put the Portuguese side on his back and really advance them deep into the World Cup, but he will hope to change that this year with a bit more talent surrounding him. Nani – a poor man’s Ronaldo, or “Ronaldo-lite,” Nani is capable of producing wondrous balls from his winger positions. His youth, speed and athleticism have aided Nani into making his mark while at England’s Manchester United. Nani’s flopping style and penchant to try to do too much at times, leave him as a player with plenty of talent, but also plenty of room to improve. Hugo Almeida – Almeida’s size and skillful finishes will draw plenty of attention from both fans and opposing defense this World Cup. Although he loses some of the spotlight to the likes of Ronaldo and Nani, Almeida will need to be on point in order to help Portugal advance from this group. Helder Postiga – another pure striker much like Almeida, Postiga is a little less deadly in the air, but more than makes up for it with his right foot. Coring the 2nd most Portuguese goals behind wonderboy Ronaldo, Postiga adds to an already scary attack. Fabio Coentrao – with all of the Portuguese attack being named already, the attention turns to the back line. Coentrao has all the necessary skills to be an elite defender and also finds himself in the center of many attacks on his Spanish Real Madrid club team. Portugal will desperately need a strong defensive showing in order to play deep into this tournament, and Coentrao is someone they can rely on to lead them in the right direction. Tim Howard – 100 caps as the United States goalkeeper and recent face of US soccer. Howard boasts the most impressive club record for any current American while playing in nearly 300 games for England’s Everton. Howard is one of the best keepers in this World Cup and will need to play like it if the US has ANY hope to move to the knockout stages. The US backline is largely untested, so will Howard be able to save America on the 1-on-1 attacks? Only time will tell. Clint Dempsey – even at 105 international caps, Dempsey has largely played in Landon Donovan’s shadow in the American midfield. Dempsey is talented, fit, battle-tested and ready to lead this squad to glory. Having played for both English clubs Fulham and Tottenham, Dempsey recently returned home to play for American based Seattle Sounders. This is the tournament Dempsey can become a US soccer legend. Jozy Altidore – it would be hard for a follower of US soccer to not know who Jozy Altidore is, but he is not quite at that “world-wide” level. Jozy has played for Spanish, Dutch and English clubs and is known for his physicality. With a rare combination of size and sped, look for Jozy to out-muscle defenders for Portugal and Ghana in this group and out-run the German central backs. Michael Bradley – a truly unheralded US midfielder, Bradley had impressive performances at Italian clubs Chievo and Roma. Like Dempsey, Bradley has returned to play his club soccer locally, even though it is across the border in Canada’s Toronto FC. Bradley will be able to run box-to-box and will make at least a big play or two in the American attack. Chris Wondolowski – even though Wondo is 31 years old, he does not have much experience for the national team. He does, however, have plenty of experience putting balls in the back of the net. Look for Wondo to be a nice relief for Jozy and make a big impact when he is on the field. Aron Johannsson – Icelandic-American Johannsson will also look to make an impact as a substitute. Playing in his first World Cup, Johannsson will need to rise to the occasion and make the most of his opportunities here in Brazil. Look for Johannsson to try to make a claim to be a starter for the US team in World Cup 2018. *Julian Green – Green has dual citizenship in the USA and Germany and has played on U16, U17, U18, and U19 squads in both countries. Look for Green to be a staple of the US midfield in the very near future. Playing a little catch-up this morning in advance of today’s matches. Joel Campbell – the youngest Costa Rican to make to the journey to Brazil, Campbell shows plenty of promise as a 21 year old. He was called up to England’s Arsenal club at only 19, but has spent most of his club career on loan throughout Europe. His most recent stop at Olympiacos produced his best year by far while playing in 32 games and scoring 8 goals. It’s Campbell’s international career which shows the most hope scoring almost 10 goals each for his U17, U20 and current senior Costa Rican teams. England will also receive 2 players per category, not that they are on the same level as Spain, Brazil, et al, but rather because the Barclay’s Premier League (which boast almost all of these lads) is the most watched League in the world. Steven Gerrard – the ageless wonder, Stevie G captains both the English national team as well as England’s club team Liverpool. 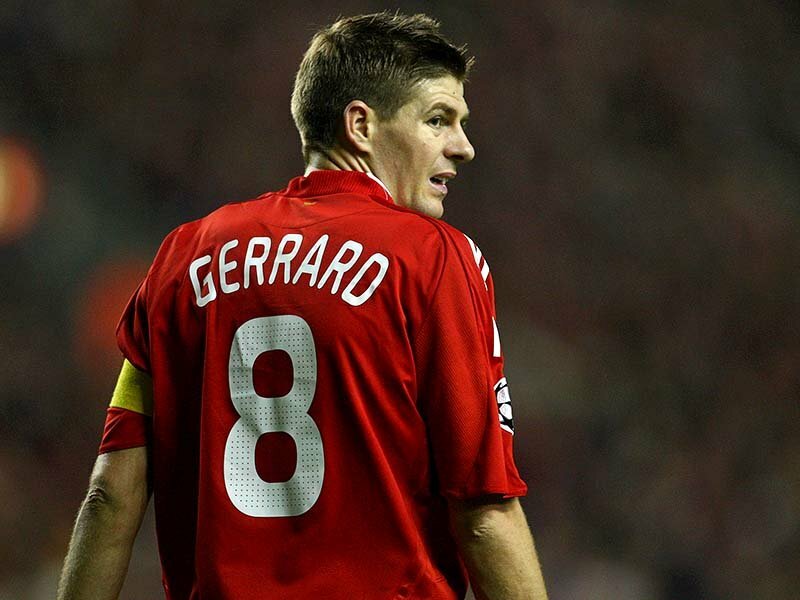 The heart and soul of the midfield, Gerrard is looking to lead his squad to the ever elusive World Cup title. England is getting younger, but even though he is 34, Stevie G plays with the passion of a 20 year old. Wherever England hopes to go this World Cup, Gerrard will be the one leading them there, proving that You’ll Never Walk Alone. Wayne Rooney – the Energizer bunny of an attacker, Rooney just doesn’t stop when it comes to attacking. Rooney’s headers and flying bicycle kicks make him a walking highlight reel and he will look to gather back some of that magic as he prepares to lead England past the Group stage. Frank Lampard – appearing to have gained quite a bit of weight recently, Lampard will still hope to be the vice-leader of an otherwise strong English midfield. Daniel Sturridge – an up and comer for England’s Liverpool club, Sturridge is deadly with the ball on his foot. A natural finisher, he will look to punish any club that focuses too much on Wayne Rooney and should have plenty of chances to do so. Look for Sturridge to have have the most goals from an English striker this World Cup. Alex Oxlade-Chamberlin – fresh on the scene at only 20 years of age, The Ox has quickly made a name for himself as a part of England’s Arsenal club. Rivaled in thickness and pure muscle mass only by Brazil’s Hulk, Ox will make his presence known as soon as he enters the game. Raheem Sterling – the youngest of English footballers at 19 years old, Sterling earned his spot on this squad with an impressive year at the English club Liverpool. His speed and versatility should present him with several playing opportunities, but the depth of talent in the English midfield could limit his exposure in this World Cup. If he does find his way on the pitch, rest assured he will be involved in the best of ways. Buffon – Buffon is the captain and backbone for the Azzurri and has been for many years.Buffon’s list of accolades is beyond impressive, leading his home club Juventus to 5 league titles and Italy to a World Cup title in 2006. Buffon suffered a leg injury in a friendly only weeks ago and it is rumored he could miss “significant time” in Brazil. If this is the case, the Italians are going to need help from its backup keepers in the worst of ways. Andrea Pirlo – another Italian mainstay who has over 100 caps to his name, Pirlo is a natural born leader. Pirlo has toured Italy’s elite clubs having spent time at AC Milan, Inter Milan and now rests at Juventus. He has won 5 Serie Aleague titles, 2 Champions League titles and a World Cup. Pirlo is known as the greatest distributor of the ball in recent memory and he has a multitude of options on this current squad. Mario Balotelli – nicknames Super Mario, this bizarre creature is a walking headline. Not even his biggest haters can deny his raw talent and ability to break a game wide open, but much like Luis Suarez, Balotelli makes headlines by letting his emotions get the best of him. He will be the focal point of the Italian attack this World Cup and will hope that will be his only appearance in the media. Daniele De Rossi – playing in only slightly fewer games than the aforementioned Buffon and Pirlo, De Rossi is the last of Italy’s older generation to make the World Cup squad. Lorenzo Insigne – Insigne, although very undersized at 5’4”, finds a way to score goals in almost every way imaginable. Using his speed while playing from either the left or right wing, Insigne seems to deliver crosses and touch passes. He may also find his way onto a free kick or two and opponents better not blink when the ball his on his foot. *Salvatore Sirigu – Sirigu may go down as the hero or the villain of this World Cup. As of this writing, Buffon will almost certainly miss Italy’s game against England, which some have called a must win if Italy hopes to advance. If true, Sirigu will be making only his 9th cap for his nation’s team, although he has plenty of experience while serving as France’s PSG club goalkeeper. Luis Suarez – Suarez is a footballer who makes headlines not only for his rare soccer talent, but more so some of his on-field antics. Although he leads an extremely talented Uruguayan team in goals, Suarez more notorious events come from his purposeful handball to save a goal against Ghana in the 2010 World Cup (Uruguay would eventually win that game) and his biting off a bitter-rival Chelsea player at the end of the 2013 Premiership. Suarez has won the adoration of his countrymen and Liverpool supporters, but Suarez is without a doubt the most polarizing figure in all of soccer. Diego Forlan – aged 35 years old and with over 100 caps, Forlan has been the face of Uruguayan soccer for over a decade. Playing in his first World Cup in 2002, Forlan has impressed even the stingiest of football fans. Forlan’s venomous strikes on goal have heralded him a savior on his many club teams and for his nation. With the help of Suarez and Cavani, Uruguay may have the most deadly attack in Brazil. Edinson Cavani – also known as the Matador, Cavani is a true slayer of beasts. Boasting two separate 3 years stints on Italian clubs Palermo and Napoli, Cavanni has most recently moved to France’s Paris Saint-Germain where he plays alongside Sweeden’s Zlatan Ibrahimovic. Cavani is deadly from almost anywhere on the pitch and will be a key component in what could be another run at the semi-finals for Uruguay. Antonia Valencia – Far and away the most recognizable name on this rather faceless Ecuadorian squad, Valencia has been making a name for himself for quite some time. His breakthrough performance came while on loan to England’s Wigan Athletic, who later picked up his contract. After another stellar season, he was picked up by English powerhouse Manchester United, where he has played in 130 games and scoring over a dozen goals from his winger position. Edison Mendez – Mendez is the longest tenured Ecuadorian footballer having played in over 100 international matches. He spearheads the teams attack and will look to take most of the free kicks, from which he is known to be quite deadly. This will most assuredly be his final world cup, so it’s a safe bet that this 35 year old attacking midfielder will be leaving it all out on the pitch. Felipe Caicedo – at only 25 years old, this striker has the 2nd most international goals for his team. At only 20 years of age, Caicedo caught the eye of English giant Manchester City, who signed him in 2008 but sent out his services for much of his 3 years career with the club. Caicedo has a proven ability to score and he will most assuredly find the back of the net at least once during this World Cup. While most likely not deserving of the “2 player” treatment, The Blues are getting it here as they are my dark horse team of the tournament. Losing Ribery is devastating, but I’ll stick to my guns and say they have a great chance to win the group, should easily win their Round of 16 game, and will be one stellar performance away from winning the Round of 8 and making it to the semi-finals. Patrice Evra – perhaps one of the best left backs in the history of the game, Evra and the rest of the French defense will be heavily relied upon this world cup. Playing almost 300 matches with Manchester United, Evra is rock solid on the back line. He will occasionally sneak up to put a shot on target and will be looking for his first ever French national goal in this year’s World Cup (Spoiler alert: he gets it). Franck Ribery – France suffered it greatest blow pre-Brazil when it was announced that Ribery would not make the trip due to an ailing back injury. Ribery is renowned for his service balls into the box and France will be looking to one it’s youthful midfielders to pick up the slack. Olivier Giroud – a true assassin in the air if there ever was one. Standing at 6’4”, Giroud will look like a man amongst boys against the Central and Southern Americans he faces in the group stage. Even few Swiss players can match his physicality and presence in the box. If France is going to put up some big point totals, this will be the man to get it done. Mamadou Sakho – with opposing teams knowing how strong France’s outside backs are, many will try to attack the French goal head on. For those that try, they will be running into this monster. Preforming exceptionally well with new club Liverpool, Sakho is ready to rise to the occasion and shore up and already stout back line. Noel Valladares – the one man who can give Honduras a chance to advance will be none other than their last line of defense – the goal keeper. Having played in 122 international games, Valladares had an exceptional showing at the 2010 World Cup in South Africa. Holding opponents Switzerland to no goals, Chile to 1 goal, and eventual Champion Spain to 2 goals, Valladares did his part. Honduras will need a repeat performance from him as well as some offensive help in order to move on. Carlo Costly – the man who has proven he can score time and time again will need to do so once (or twice, or thrice) more to help Honduras win. Having scored 31 international goals, but 0 World Cup goals, Costly is poised and ready to break through. Jerry Bengtson – playing in his first ever World Cup, Bengtson is rather green behind the ears. Scoring almost 20 international goals in only 44 games shows that Bengtson has a nose (or head) for the goal. As mentioned earlier, if Honduras hopes to win, then they must score. Bengtson is the man ready to make that happen. Gokhan Inler – Swiss captain and central midfielder, Inler is a born leader. He will be the calming force in the middle of this potent goal scoring midfield. Having toured Swiss and Italian clubs over the past decade, Inler has seemingly settled down at Italian club Napoli. He leads his country with 74 caps and will be looking to lead the Swiss to the knockout rounds. Stephan Lichtsteiner – an attacking right-back currently playing for Italy’s Juventus, Lichtsteiner draws comparisons to “Forrest Gump” with his athletic attacks up the sideline. Nicknames “The Swiss Express,” this is one man opposing teams do not want to see barreling down on them looking for a chance to score. Xherdan Shaqiri – perhaps what Switzerland misses the most is a true presence in attack. While the left-footed Shaqiri is a true midfielder, his speed with and without the ball will allow him several chances to lead the Swiss attack. Look for Shaqiri to be all over the box as well as getting a look from a free kick in which a deadly left foot is required. Lionel Messi – The greatest soccer player in the world, Messi is known worldwide. Scoring 243 goals in 276 matches with Spanish club Barcelona, Messi’s goal to game ratio is almost unheard of (Messi also has 26 hat tricks to his credit). For all of Messi’s accolades and club success, he has yet to lead his national team to glory even though scoring 38 goals in 86 matches. Messi will hope to live up to the high expectations in this World Cup and cement his national glory next to the likes of Diego Maradona. While a couple of the names could be argued for the “you know” list, I believe it only suitable for Messi to stand alone. Thus, this category will have an extra name or two on it. Maxi Rodriquez – Argentine midfielder of yester-year, Maxi has had a grand club and national career. His notorious mid-range blast on goal may have lost some of their bite, but when he is on the pitch, he is still a threat to score from anywhere. Javier Mascherano – another aging midfielder, Mascherano’s contributions cannot go unmentioned. A true leader in the midfield, Mascherano will spend most of his time tracking down opposing attackers. It is safe to say, however, that his defensive duties won’t keep him from taking a shot or two on goal. Martin Demichelis and Pablo Zableta – not only to these two defenders play side by side for Argentina, they also fill the same roles for English club team Manchester City. If Argentina hopes to reach the finals, and it is assumed they can, these defensive pillars will need to be steady on the back line. Gonzalo Higuain – Higuain certainly needs no introduction as he surely introduced himself to the world playing for Real Madrid and netting over 100 goals. After recently being bought for 40 million euros, but Italian club Napoli, Higuain has taken a step out of the lime light. Higuain will be chomping at the bit to help lift his country, and himself, into the championship discussion. Sergio Aguero – another striker who is not being introduced to the world, but certain to make the most of his chance to perform on the world’s biggest stage. Aguero joins countrymen Demichelis and Zableta on England’s Manchester City club team and has been a major contributor to Man City’s two recent BPL titles. Aguero will look to capitalize on every scoring opportunity he is presented with. Zvjezdan Misimovic – being the most capped player in the history of his nation and being 2nd in goals, Misimovic will look to solidify the midfield with his role as vice-captain. Spending his club career in Germany, Turkey and China, look for the 32 year old to regain a spring in his step while trying to help B&H exit this wide open group. Edin Dzeko – a diverse striker with both speed and size, Dzeko has scored goals in almost every way you can think of. Leading the Bosnian team with 35 goals, Dzeko has proven time and again he can deliver on the big stage. A fine 4 years at Germany’s VfL Wolfsburg, Dzeko was called up to the English league to play for Manchester City, where he has had an equally impressive run. Dzeko will not sneak up on any defender in this group, but with his skill set, he won’t have to. Miralem Pjaniic – as fine of an attacking midfielder as there is in this group, Pjanic will rely on his youth and speed to be a game changer in this World Cup. While not a pure goal scorer, his technical skill, stellar dribbling, and visionary passes will have Pjanic involved in nearly every B&H scoring chance. Javad Nekounam – with an astonishing 140 caps for his national squad, Nekounam has earned his captaincy with nearly 40 goals (note the 2nd most on the team is 10). From his central midfield role, look for Nekounam to blast some of his patented shots from long range. Karim Ansarifard – at only 24 years old, Ansarifard has already managed 42 caps. With a penchant for scoring, and scoring A LOT for his club teams, Ansarifard will look to reach double digit national goals with a strong performance in Brazil. Reza Ghoochannejhad – with a nickname like “Gucci,” you just know this kid loves the spotlight. Playing for 5 different clubs in the past 5 years, this 26 year old strike is certainly road tested. This stage is the chance Gucci has been waiting on to impress a club enough to secure a long time contract and he may do just that. John Obi Mikel – while helping to lead Nigeria to its 2013 Africa Cup of Nations title, Mikel is most widely known for his 8 year stay at English club Chelsea where he has played just over 200 games. Mikel will be all over the pitch from his central midfield role and could certainly help lead Nigeria to the knockout rounds. Ahmed Musa – riding an impressive 2 year career with Russian club CSKA Moscow, Musa is riding high coming in to this World Cup. One could certainly question how many true scoring chances Nigeria will muster, but Musa will find himself spearheading at least a few. Victor Moses – listed as midfielder for the Nigerian national team, look for Moses to sneak up into his more comfortable winger position. Moses can move the ball from the backline to the attack with blazing speed. Having played for England’s U16, U17, U19, and U21 national teams, Moses chose to return to his birth country of Nigeria for this World Cup. Moses brings his vast experience to a rather inexperience Nigerian side. Teofilo Guiterrez- having scored almost twice as many international goals as his remaining Colombian footballers, Guiterrez has proven his ability to rise to the occasion. His number will be called upon early and often and must prove that he can replace the attacking void left by Falcao. Jackson Martinez- Mark this as a “gut call,” but Colombia will have to score if they want to advance. There is no question that their defense is supremely talented and will keep them in most of the games they play. Someone will have to present a threat to opposing defenses and Martinez will be your man. Porto (Portugal) has produced some amazing players from their club (see Colombian striker Falcao) and a betting man should not feel hesitant to let his money ride on Martinez becoming the next B.M.O.C. Giorgos Karagounis – being the most capped player in the history of the Greece national team (135 to be exact), Karagounis has led an impressive club and international career. After superb 5 years at the local Grecian club Panathinaikos, Kara most recently spent time at England’s Fulham. At 37 years old and currently unsigned by any club, Kara will most likely bid adieu to the football world at the end of this Cup run. Dimitris Salpingidis – close your eyes and imagine a Grecian footballer and this is who you will see. Though short on stature, this Greek Adonis has been the face of a nation after scoring Greece’s first ever World Cup goal in 2010. Scoring again in Greece’s 2012 Euro Cup run, Dimitris could lead Greece to it’s first ever appearance in the World Cup knockout round. Konstantinos Mitroglou – while Greece lacks that one superstar, “Mitrogoal” will look to capitalize on the world stage. Having recently been called up to play abroad at Fulham, Mitroglou has the size and scoring ability to be an immediate game changer. His ability to find the back of the ole onion bag is unrivaled by his teammates and look for his touch to be the precursor to almost every Grecian scoring opportunity. Didier Drogba – a man who truly needs no introduction. Drogba has been the heart and soul of the Ivory Coast. With over 100 caps and 65 goals for the Cote d’Ivoire, Drogba will catch the eye of every defender he faces. Scoring over 100 goal England’s Chelsea club, Drogba has been touring Chinese and Turkish clubs collecting his deserved pay-day. Standing at 6’2”, Drogba is literally head and shoulders above most Grecian and Japanese defenders and should have no trouble rising up to bury many headers during his group stage games. Consider this a true toss-up between Saloman Kalou and Gervino. Both will likely be starting wingers outside of both Yaya (midfield) and Droga (striker), so it is anyone’s guess as to who will make the most noise. Kalou has had a more impressive run of goals recently at the French club Lille and amidst rumblings from Ivory Coast Coach Sabri Lamouchi that Drogba will have to earn his playing time (most likely idle threats), Kalou is more apt to fill that potential void. While Gervinho will most certainly make some waves on the outside, Kalou will be the one riding those waves in for a goal. Keisuke Honda – after scoring the lone goal in Japan’s first ever World Cup win on foreign soil back in 2010, Honda propelled Japan to the knockout stages by scoring and assisting goals against Denmark. Wining two “FIFA Man of the Match” titles in his three group stage games, Honda almost led Japan to an improbable win over Paraguay in the Round of 16 before falling short 3-5 on penalty kicks. Shinji Kagawa – this 25 year old attacking midfielder is looking for a break through tournament. His amazing skill set led to an impressive two years at German based Borussia Dortmund. This performance was quickly noticed by English juggernaut Manchester United, who scooped the young lad up in 2012. Kagawa seems buried by talent at Man U, even though he has played in almost half of the club’s games since 2012. Brazil will be Kagawa’s chance to showcase his talents to the world. Processed request in 0.0477 seconds.